“Global warming, carbon footprints, sustainability, green, eco-conscious, all these tree lovin’ buzz words all over our digital devices!? There is an oxymoron buried in there somewhere. Design for impact is making its way to our phones! Very exciting. Meet Phoneblok. A modular phone that is paving a step in the right direction toward less tech waste. We all know how fast tech is making our devices “obsolete”. Just think about the frequency which devices are springing into the market. If you don’t know how fast this is, take a look at all the commercials for all the new tech gadgets for clues. The phrase “planned obsolescence” sounds sinister, doesn’t it? Someone in a lab somewhere taking products that would, if not last forever, at least last longer, and making them prone to breaking down, so you buy another. For one man in the Netherlands, this practice has gone on long enough, and he wants to sell you a phone that you’ll be able to mold perfectly to your own needs, and modify as technology advances. He’s calling it Phoneblok. One reason iPhones are rendered steadily and predictably obsolete just months after it debuts heralded as world-changing—is tied intimately to what many like about the iPhone: the attractive and smooth design. Apple’s seamless aesthetic doesn’t leave room for you to customize or upgrade the hardware and once the hardware is worn out, dropped into water or at its limit. When one part goes or is faulty or just doesn’t do what you want it to, the whole phone has to go. How many iPhones have been replaced just for want of an uncracked screen? Apple is easy to point to, because it’s popular, and if you believe the lawsuits, where Apple goes, so do consumer electronics. But in at least one respect it’s far from unique. As last year’s Apples go to the dump, so too do other electronics. In 2010 the United States generated an estimated 3 million tons of e-waste, and only about a quarter of that is thought to be recycled. The rest is going to the dump or incinerators. Cell phones, while small, are a special problem because they are replaced on average every 12 months. 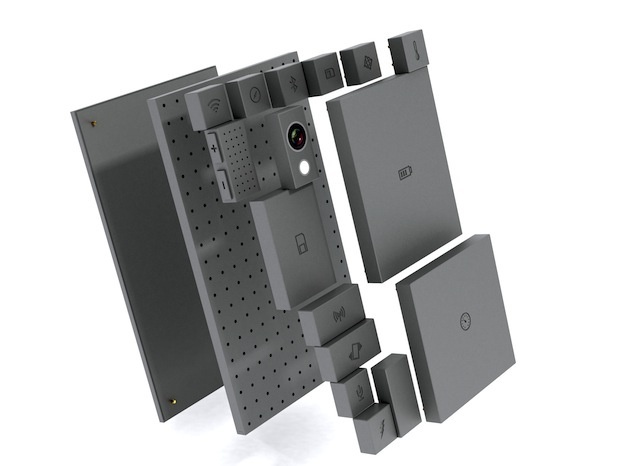 It’s these growing problems that Dave Hakkens wants to ameliorate with Phoneblok, the modular phone that, in theory, could be the last phone you’ll ever buy. The idea is that Phoneblok will have replaceable components. If a better battery is developed, you can snap it on. If you don’t want to have a camera, you can just put a bigger battery on. If your screen cracks, get a new one, etc. As it stands, Phoneblok is more concept than anything, as Hakkens is trying to both gauge and drum up public support before working with companies to actually build the thing. Judging from his Thunderclap campaign, which is like crowd-sourced PR blitz, where people can donate their social media outreach, the public is pumped. The Phoneblok Thunderclap has lapped its goal twice, at one point crashing the website. The campaign will reach over 10 million people when it rumbles. But enthusiasm isn’t adoption. Even though the iPhone has only been in our pockets for six years, it has a way of ingratiating itself to users. The apps, the app store, iTunes, the hardware, they’re all part of a cohesive whole. From June 2012 to June 2013, Apple took three times more customers from Samsung than Samsung took from it. 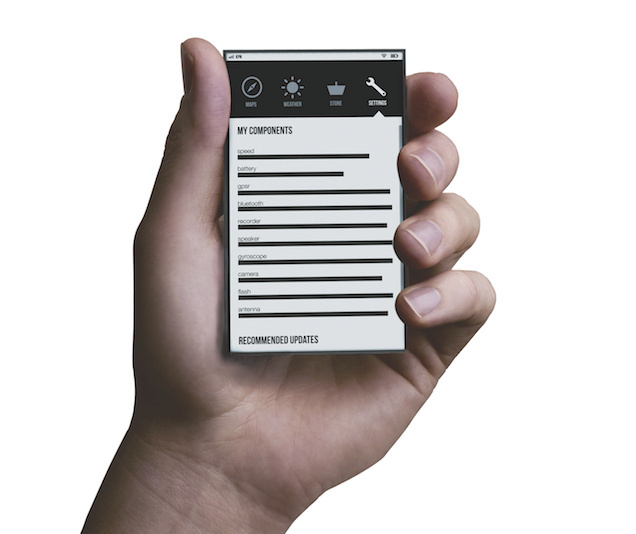 The prototype images for Phoneblok have it using an attractive operating system, but still a new one. If people who are comfortable with Apple’s iOS are loathe to leave it, Phoneblok may remain on the fringes of the phone market. And as the Apple Maps fracas taught us, making the basic applications that make smartphones worth having aren’t always a snap to put together. Leaving behind Apple and Samsung means leaving behind the market’s standard bearers. But on the upside, it could also mean leaving behind the environmentally-dubious—and often expensive—habits that are also standard.